After seven years and two vetoes, the Philadelphia City Council passed the Promoting Healthy Families and Workplaces Ordinance (‘the ordinance”) Despite previously vetoing two previous laws, Mayor Nutter was quick to sign the new ordinance into law. The law went into effect on May 13, 2015. Since then all employers in the City of Philadelphia have been required to start providing sick leave to their employees. Philadelphia followed California, Massachusetts, D.C., and several cities in New Jersey with the new sick leave law. As many states and cities across the region have passed sick leave laws and ordinances, businesses have had an increasingly tangled web of sick leave laws to comply with. 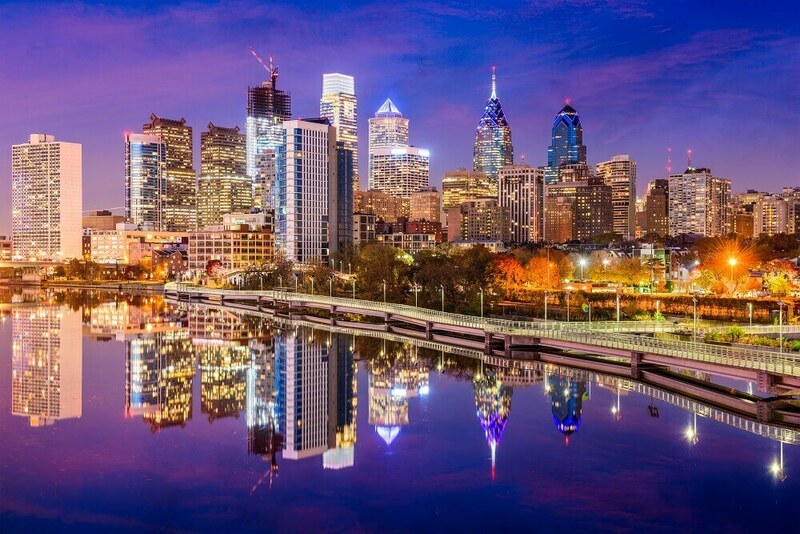 The purpose of this article is to provide an overview of the Philadelphia ordinance and to make compliance easier for business owners, human resource professionals, and payroll executives. The Philadelphia Ordinance provides sick leave laws to all employees who work within city limits at least 40 hours a year. This includes employees who work in Philadelphia and outside of city limits if they work within Philadelphia at least 40 hours during the year. There are limited exceptions, noted below. Employers who have 10 or more employees must provide paid sick leave while small businesses, with less than 10 employees must provide unpaid sick leave time for employees. Employees will earn sick leave at the rate of 1 hour for every 40 hours worked during a year. Employees can earn up to 40 hours, or 5 days, of sick leave during a year. All employees who work within the city limits of Philadelphia are covered under the law. This includes part time and full time employees. Employers who employ 10 or more employees for at least 40 weeks a year are required to provide paid sick leave. This includes if the employees are full time, part-time or temporary workers. The Promoting Healthy Families and Workplaces Ordinance has several specific exclusions to the law. Independent contractors are not considered employees and are excluded from sick leave. Similarly, seasonal and temporary employees are also excluded, even though they count toward a business’s employee count. Temporary employees are any employee hired for a term of less than 6 months. Additionally, adjunct professors, interns, and health care professional pool employees are also excluded from mandatory sick leave accrual. Lastly, State and Federal government employees are excluded from sick leave rights. Union employees are also considered exempt from the sick leave accrual rights. The Ordinance does not require that Union employees have equal or greater amount of sick leave in their bargaining agreement than the law provides for other employees. Under The Ordinance, employees earn 1 hour of sick leave for every 40 hours worked. This includes overtime hours. Exempt employees are assumed to earn sick leave based on a 40 hour work week or the employee’s normal workweek, whichever is less. Employers can cap sick leave accrual to a maximum of 40 hours of sick leave earned a year. Unused Sick Leave must be rolled over each year without limit. However, employers can limit employee’s sick leave usage to a maximum of 40 hours a year. Additionally, employers can restrict sick leave usage for the first 90 days of employment, although employees start accruing sick leave upon the first date of employment. Employees are allowed to use sick leave for several reasons. They can seek a medical diagnosis, care, or treatment for a mental or physical illness, injury, or healthy condition for themselves or for a family member. Secondly, they can use sick leave for preventative care for themselves or a family member. Third, they can use sick leave to address issues related to domestic violence, sexual assault, or stalking if they or a family member is a victim. This includes medical attention needed to recover from physical or psychological injury caused by domestic violence, stalking or sexual assault. It also includes services from a victims services organization, physiological or other counselling, relocation, or legal services, remedies and any criminal proceedings. Legal Services: including preparing for and participating in legal or civil proceedings related to or resulting from the domestic violence or sexual violence. Philadelphia defines specific relationships for family member when using sick leave. Children, including biological, adopted, foster, step, legal wards, and in loco parentis relationships, are considered family. Parents, including biological, foster, step, adoptive, legal guardian, or in-law parents are included. Additionally any person who stood in loco parentis when the employee was a minor is also included in family member definition. Legal spouse, grandparent, or the grandparents of a spouse is an accepted family relationship. Grandchild, Sibling, and Lift Partners are also included as family. Sibling relationships include biological, adopted, foster, or sibling of a spouse. Employees are required to give their employer advanced notice whenever possible, such as when appointments are scheduled for preventative care. The employee should also make reasonable efforts to schedule appointments with health care providers at a time that doesn’t disrupt the operations of their employer. If advance notice cannot be given the employee should give notice before their shift starts or as soon as is reasonably possible. If employees use sick leave for more than 2 consecutive days, then the employer can require proof that sick leave is used in accordance with the law. Documentation can include signed documentation by a health care provider, a police report or a signed statement by a victim services organization certifying that the employee was a victim of domestic violence, stalking or sexual assault. None of the documentation needs to disclose any specific information about the nature of the illness or the details of the violence. Employers can front load the entire 40 hours at the beginning of the year. If an employer does choose to front load sick leave, then unused sick leave hours don’t roll to the following year. Additionally, when employees leave an employer, the employer is not required to pay out unused, but accrued sick leave. This is true, even if the employer does not front load sick leave, but lets the employee accrue it during the year. Employers who provide other paid time off that meets the minimum requirements of The Ordinance and who allow employees to use paid time off for the same purposes as Philadelphia law are not required to provide additional sick leave time. This includes vacation days, sick leave, disability leave, floating holidays, parental leave, or personal time off. Employers cannot retaliate or discriminate against any employee who uses sick leave or who attempts to assert their rights under The Ordinance. Further, employers cannot restrict the use of sick leave usage or prevent employees from using accrued sick leave. Sick Leave usage cannot count toward absences that result in discipline, discharge, demotion, suspension or any other adverse action. However, if employees misuse sick leave, employers may take action against the employee. Employers are required to provide notification of sick leave rights under the Healthy Families and Workplaces Ordinance. This includes the right to sick leave, the amount of sick leave and terms of sick leave available under The Ordinance. Additionally, employers are required to inform employees of their rights to file a complaint or bring a civil action against the employer if the employee is retaliated against. Employers must provide notice in English and in any first language spoken by at least 5% of their workforce. Employers are also required to maintain records for at least two years. Records must include the hours worked by employees, sick time taken, and the amount paid to them. Employers who fail to maintain records or who fail to share them with the Agency (designated by the Mayor) will be presumed to have violated the ordinance. Employers who fail to meet the posting and notification requirements are subject of a fine of up to $100 per offense. If sick leave is withheld, then the employee is entitled to the dollar amount of the sick leave withheld. Liquidation damages up to $2,000 including attorney fees are also allowed. The Agency may also seek additional fines and penalties. Employees have up to a year after the offense to file a complaint and the agency has 180 days to investigate. Civil actions may be filed up to 2 years after the offense took place. Businesses who have employees in Philadelphia, and a growing list of other cities and states, must keep adequate documentation or face presumed guilty when accused with a violation. Additionally, these businesses have to also comply with Federal Overtime Laws, the Family Leave Medical Act and any other national or local laws that are enacted. SwipeClock provides a comprehensive array of workforce management and time tracking tools that can help businesses to more easily stay in compliance with local and national laws. Records are effortlessly kept for years and accrual is automatically tracked and reported to employees according the state and city laws. Additionally, with geo-timekeeping clocks, businesses can effortlessly track time worked in specific cities to ensure compliance.